In some stunning moves by the Commonwealth of Massachusetts Department of Energy Resources (DOER), the state dovetailed behind the Patrick Administration’s announcement to increase the 250MW goal by 2017 here to 1.6GW by 2020. Massachusetts has become one of the hottest solar states in the whole country. In the rush to push solar projects forward prior to the year’s end, the state’s DOER was flooded with applications for solar projects to nearly 800MW, previously being a 400MW CAP. The result was a mass stampede for the remaining slots. Very few people knew when the CAP would be reached as the deadline to file new projects was June 7th and was fast approaching. DOER announced on May 29th that the CAP had been exceeded to 550MW. Later, we discovered that the CAP had been reached on May 9th. 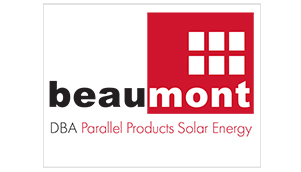 Beaumont Solar took quick action. On May 30th a meeting was organized with DOER Commissioner Mark Sylvia and staff, with our CEO Phil Cavallo and one of our key customers. This would air our concerns about the rush, current program, and future for SRECII. DOER Commissioner Sylvia was gracious to take the meeting and listen to the feedback and comments we later provided to them in writing. Finally, the new solar SRECII program was introduced for comment and for further discussion. It is anticipated that the new program will be promulgated by January of 2014. Systems 100 kW or less do still qualify for SRECI. With this news the solar market has continued to ramp, customers have placed orders for the new SRECII program estimating that the opportunity will be as good or slightly less than the SRECI program. For insight and guidance on the new SRECII program please contact us and we will provide you with our analysis of the proposed new program.